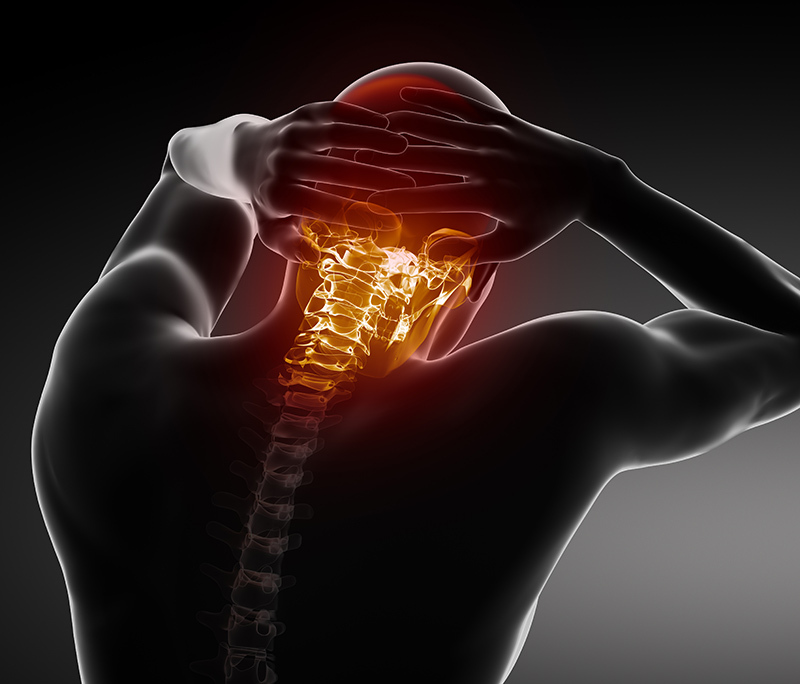 Neck pain is the most frequent postural disorder, suffered by almost 80 % of the population. If underestimated, it can limit the quality of life with symptoms ranging from simple neck pain, muscle tension headache up to dizziness and nausea. The main causes of these diseases are bad breathing because of anxiety and stress, defects in chewing, trauma and overload caused by sports, training and work. B.Pillow has created a line of special pillows for sportsmen and for people who suffer from neck pains, mainly because of their lifestyle. The B.Pillow pillows will help your neck area to resume its natural functionality, reducing muscle tension causing general pains. The benefits of B.Pillow pillow. How does it work? To better understand the benefits obtained from the use of pillows B.Pillow it is required a comparison between a conventional foam and our B.Pillow HD Foam material. 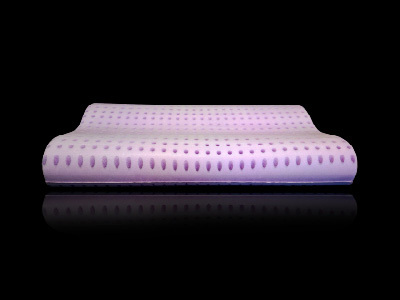 The test in question is a relaxation experiment about efforts, which consist in the compression of a foam pre-deformation and kept constant going to detect the change (decrease) in the effort for a certain period. 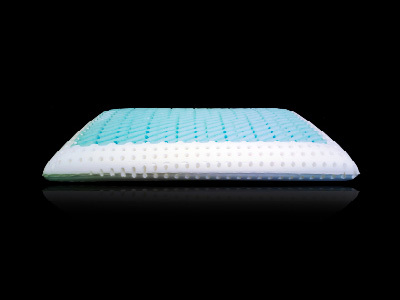 We report the load cycle in the test: we denote with the green color the deformation cycle for the B.Pillow HD Foam, and with a blue color the cycle for a traditional foam. The results obtained with this test are expressed in the graph.  The analysys of the blue curve shows a large increase in the input for small deformation and suffered a small relaxation of the same when the deformation remains constant, a sign that the foam exerts a strong opposition to deformation, which is a typical elastic behavior. 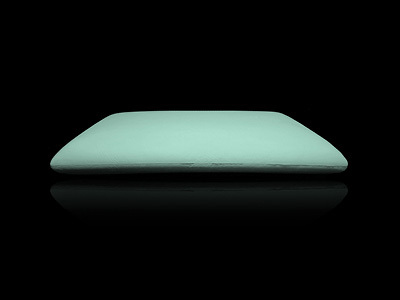 In this case the energy spent by weight of the neck, to deform the pillow is completely given back from the pillow to the neck, causing a strain on the neck itself. With the B.Pillow HD Foam, instead, effort growth with the deformation is very soft, on the contrary the deformation etched is higher. Upon reaching the maximum deformation, stress relaxes softly, a sign that the foam is opposed to little deformation exerted. In this case the energy given from the neck to the foam is absorbed by B.Pillow HD Foam, without creating stress to the neck remains free to take natural and ergonomic eliminating positions compression points.